Berto Espitia is entering his fourth year at Illinois State University studying construction management. This is his first summer with ICI and we are glad to have him. Berto has taken on a new role as a project intern under ICI superintendents Josh Hunter and Richard Gubala at Burbank School District 111's new elementary school, Luther Burbank. In his free time he enjoys hands-on projects such as building new things and making repairs in his family members’ homes. Michael Hootman is working towards a degree in civil engineering as a senior at Iowa State University. His first summer with ICI has him working as a Project Intern at the Audi Exchange in Highland Park, Illinois. Outside of work, Mike can be found playing his guitar, woodworking, or rooting for the Cubs. Trey Lally will be a sophomore at Iowa State University this fall. He spends his days on site at East Leyden High School helping his team members achieve their vigorous summer schedule. When asked what surprised him most about his construction internship, Trey responded that he was surprised to learn so much industry terminology on the job site. John Malamos is entering his final semester at Illinois State University, pursuing a bachelor degree in Construction Management. This is his first summer with ICI and he is fulfilling the role of Project Intern at the West Leyden High School remodel and addition. John is a tried-and-true Chicagoan; he is a die-hard Chicago Bears fan. Victoria ONeil is entering her junior year at Northern Illinois University and second internship with ICI. Victoria is assisting with the final construction phases at the Society of the Little Flower. When asked for a little known fact about herself, she responded that she started her own business in the fifth grade, selling hand-sewn sleeping bags for stuffed animals at her local toy store. Amanda Jackson is entering into her fourth year at Texas Christian University and fourth summer spent with ICI. This year, Amanda has taken on a new role as the Marketing Intern for the company. She handles all things social media, in addition to keeping the current project databases up to date and looking professional. Amanda is a member of TCU's premiere mixed A Capella group, License to Trill. Kelsey McInturff will be a sophomore at Iowa State University working on a degree in material science and engineering and has returned to ICI for the second summer in a row. Kelsey spent her past spring semester as an undergraduate research assistant with the engineering faculty at her university as well as played on the club soccer team. 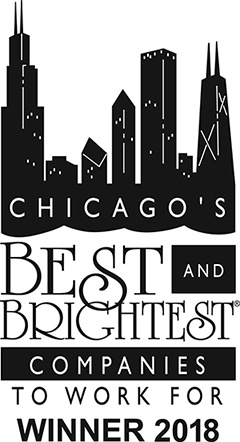 This year, ICI was once again awarded the title of "Best and Brightest Companies to Work For". Our internship program assisted in achieving this distinction. The program founded on the principles of mentor-ship and providing future members of the workforce with real world experience. Interested in joining our team? RELATED: ICI is always looking for new qualified candidates! Check out our open positions!